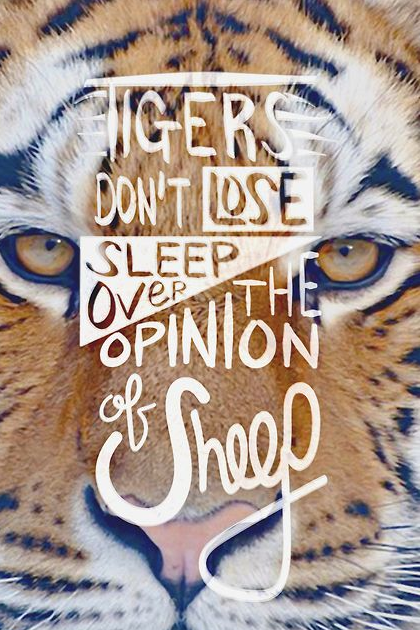 My favorite quote is, "Tigers do not lose sleep over the opinion of sheep." People have opinions. A lot feel the need to share them. Go team! But we don't have to listen and take these opinions to heart. We can consider the source.